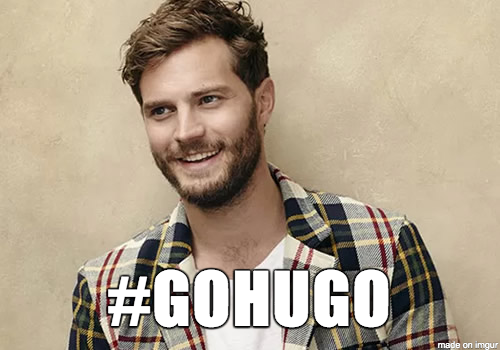 Jamie Dornan isn't really sure about the jacket he's wearing but he is sure that Hugo is the best. They should have let him keep the beard for the movie! It makes him look less boyish and like a man.